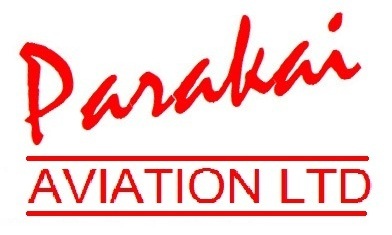 Parakai Aviation Ltd was established at Parakai airfield, near Helensville, in 1991 by Des Grant and Peter Clulow, two Air New Zealand Boeing 767 captains. In its first four years the company focussed on training, flightseeing, aerobatic joy rides and charter work. 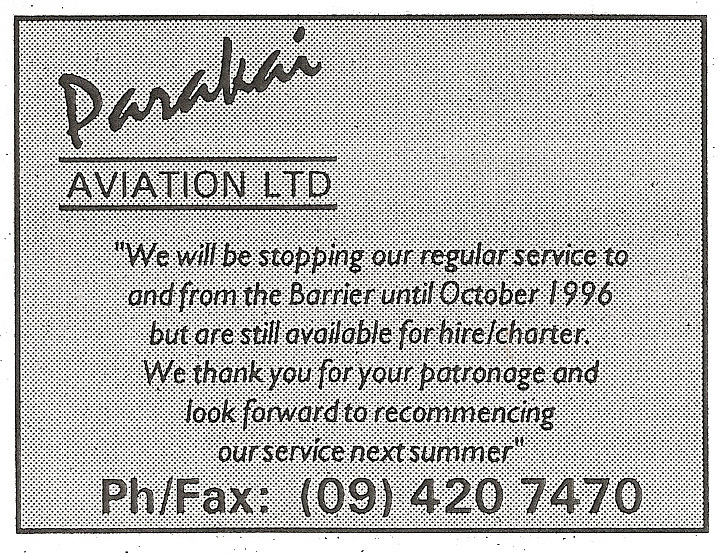 In 1995 the decision was made to offer a regular weekend service to between Parakai and Great Barrier Island. Peter Clulow told the Barrier Bulletin that the company was not trying to compete with other air services to the island but "opening up the north-west Auckland area to Barrier people and promoting the Barrier to the Helensville area. The other air services are some distance from there". Alison Williamson was appointed marketing and sales promotion manager and prior to the service getting airborne she coordinated a group of Helensville business people being taken to Great Barrier Island on a familiarisation and promotion tour. 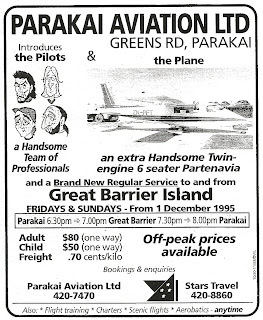 Flights started on the 1st of December 1995 with a Friday and Sunday late afternoon Paraki-Great Barrier-Parakai service being flown by either the company’s Partenavia P68B, ZK-PFT (c/n 42) or Cessna 182Q Skylane ZK-PFS (c/n 18265549). Cessna 182 Skylane ZK-PFS, taken at Wanaka on 2 April 1994. 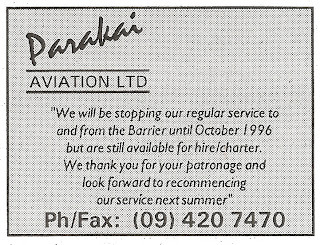 The Parakai-Great Barrier service ended in April 1996 with the intention to restart in October for the next summer season. In the meantime the Partenavia continued to operate to the Barrier under charter to Air National's Great Barrier Express. The following summer Parakai Aviation began operating to Great Barrier Island again, this time under a new name, Trans Island Air, with a new aircraft, a Cessna Grand Caravan, and this time on the prime Auckland-Claris air route. 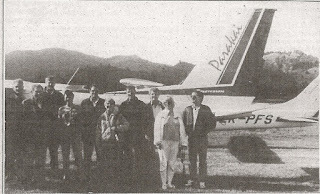 As for Parakai Aviation itself, on the 20th of April 1997 the flying school closed because a viable agreement could not be reached with landowners, the Parakai Parachute Centre. 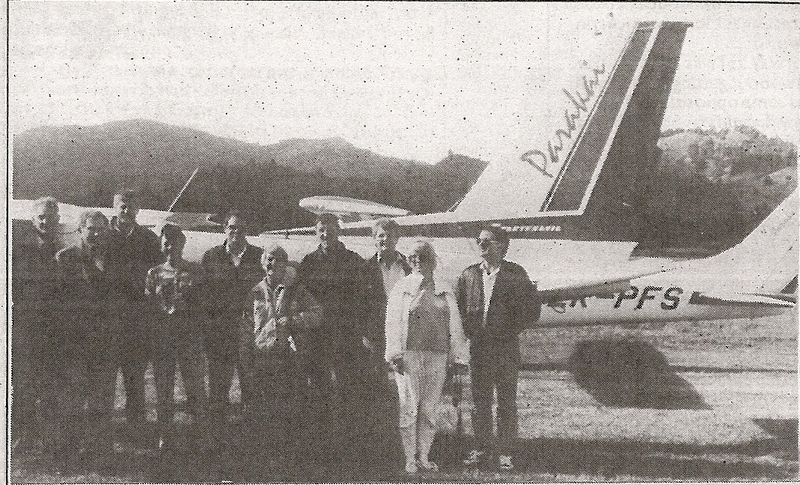 "Flights started on the 1st of December 1995"
"On the 20th of April 1995 Parakai Aviation’s flying school closed because a viable agreement could not be reached with landowners, the Parakai Parachute Centre. 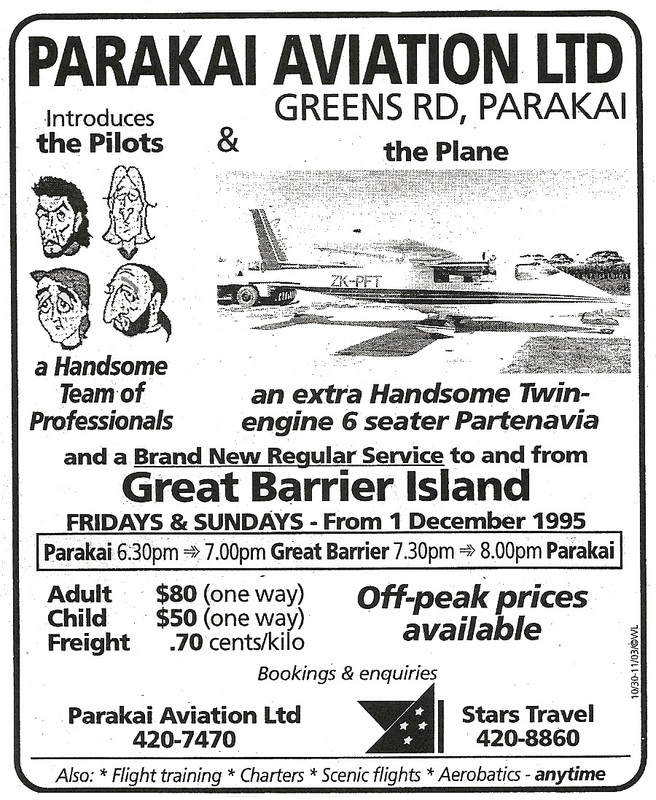 At the same time the Parakai-Great Barrier service ended . . "